The Pakistani Army initiated indiscriminately firing of small arms, automatics and mortars at 6.20 a.m. on Monday along the Line of Control (LoC) in Jammu and Kashmir's Krishna Ghati sector. The Indian Army posts are retaliating strongly and effectively. 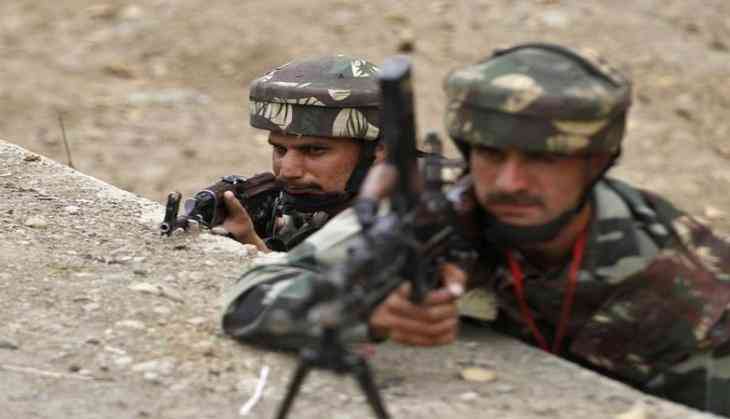 Earlier on Sunday, the Pakistan Army violated ceasefire in Jammu and Kashmir's Naushera sector. This came after the Pakistan Army earlier in the day initiated indiscriminate firing of small arms, automatics and mortars in Naushera along the Line of Control (LoC). Pakistan initiated the indiscriminate firing at around 12:40 p.m. and exchange of gunfire continues. The Indian Army posts retaliated strongly and effectively. The firing continued for about 45 minutes. On Saturday, the Pakistan Army initiated indiscriminate firing of small arms, automatics and mortars in the Krishna Ghati sector of Poonch district along the LoC. In all these incidents, the Indian Army posts retaliated effectively.